People often ask how our great-tasting plant-based burgers can deliver as much as 12 grams of protein. The secret is in the sunflower seeds, which also give the patties their delicious nutty taste. The black-and-white striped seeds, a favorite of birds, are an excellent source of protein and fiber for humans. In fact, the little seeds made Dr. Josh Axe’s list of top 10 foods rich in Vitamin E and The George Matelijan Foundation’s list of the world’s healthiest foods. 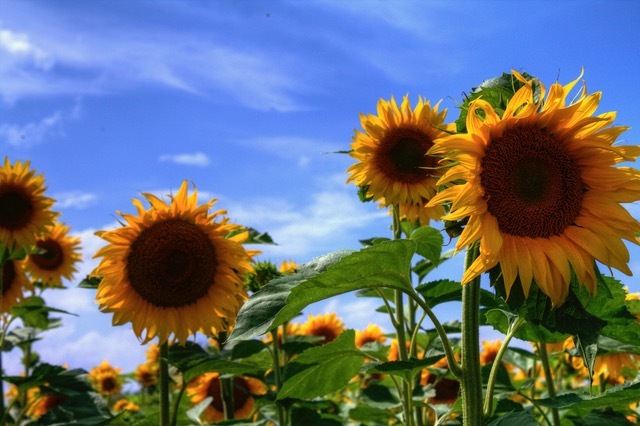 Many historians believe sunflowers were one of the first plants to be cultivated by humans some 3,000 years ago – even before corn – and that American Indians ate the seeds, ground them into flour, and pressed them for oil. One of very few indigenous food crops in the United States, sunflowers were brought to Europe by the Spaniards and became hugely popular as an ornamental flower during the 1700s. Sunflower seed oil became a beloved food source in Russia because it was a great substitute for butter and lard, which the Russian Orthodox Church banned during Lent. For early humans and down through the ages, sunflower seeds have been a reliable source of complete protein. 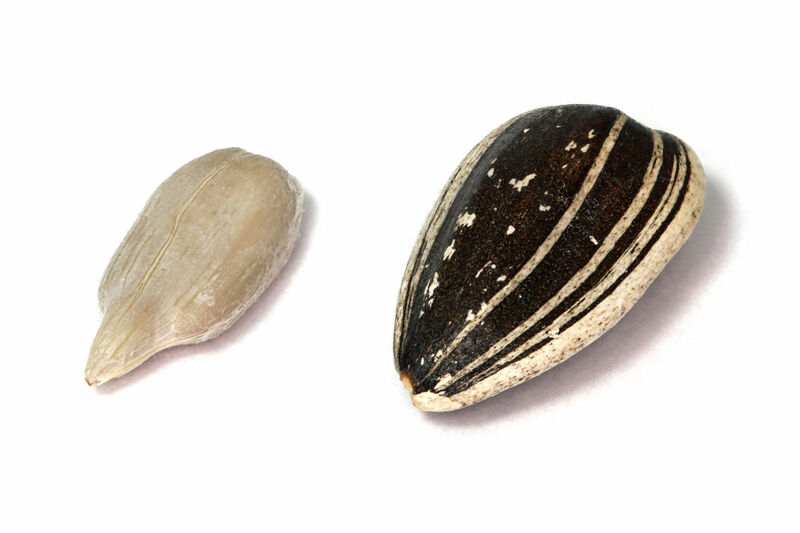 The USDA states that one ounce of hulled sunflower seeds counts as a two-ounce equivalent in its Protein Foods Group. That ounce contains 5.9 grams of protein and 166 calories – meaning 14 percent of the calories in sunflower seeds are from protein – and only 5.7 grams of carbs, according to Superfoodly. Sunflower seeds are packed with nutrients, including zinc, folate, copper, thiamine, phosphorus, and vitamins E, B1 and B6, and magnesium, which strengthens bones and can help reduce the severity of asthma, lower blood pressure, and prevent migraines, heart attacks, and strokes. The presence of the powerful antioxidant selenium can help prevent breast cancer and detox the body of harmful, damaged cells. Perhaps most importantly, sunflower seeds are one of the best natural sources we have of vitamin E, a primary antioxidant that can help prevent heart disease, inflammation, and free radical damage in the body. Better yet, the essential fatty acids in sunflower seeds help the body absorb fat-soluble Vitamin E, which has been found to help reduce the risk of colon cancer and diabetic complications and provide relief from hot flashes in women going through menopause. Dr. Axe reports that studies have found vitamin E effective in preventing prostate and lung cancer. “Sunflower seeds are most highly correlated with boosting cardiovascular health thanks to their ability to reduce ‘bad’ LDL cholesterol and to prevent hypertension, in addition to many other positive effects like cancer prevention, less headaches and muscle cramps, improved detoxification, healthy skin, and more,” he states. Sunflower seeds meet Dr. Axe’s approval. “Frequently consuming sunflower seeds has been shown to help balance cholesterol levels, to reduce hypertension, to lower high blood pressure, and to protect against heart disease – all of which are possible once inflammation levels are under control, he states. We’re proud that sunflower kernels are the foundation of our unique burger recipes and provide the distinctive nutty flavor (without the nuts!) they are known for. 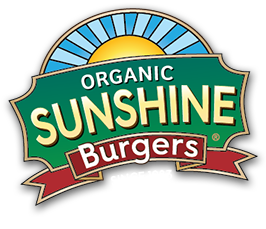 These powerful little seeds, which are the primary source of protein in Sunshine Burgers, are a win for plant-based eaters who can rest easy knowing that they are packed with nutrients, are filling and grown with the goodness of the sun.